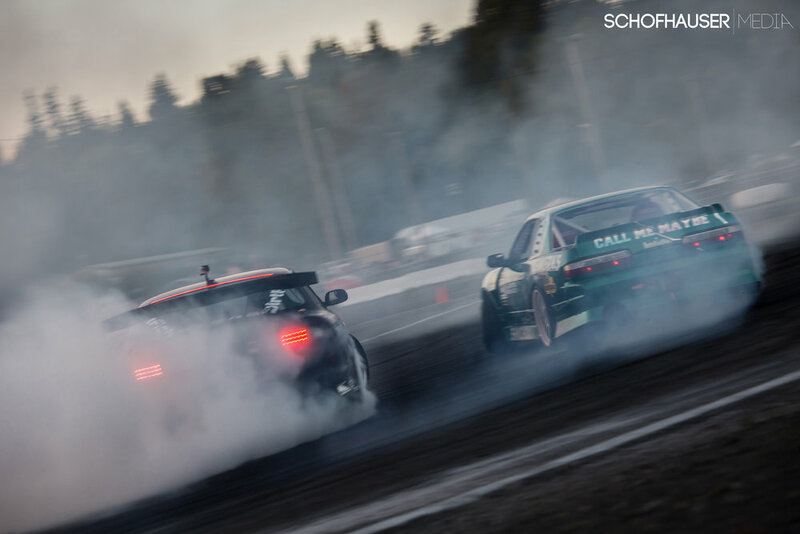 DriftCon AfterDark is the second DriftCon event of the season, and it's the event that I look forward to most out of the season at Evergreen Drift. 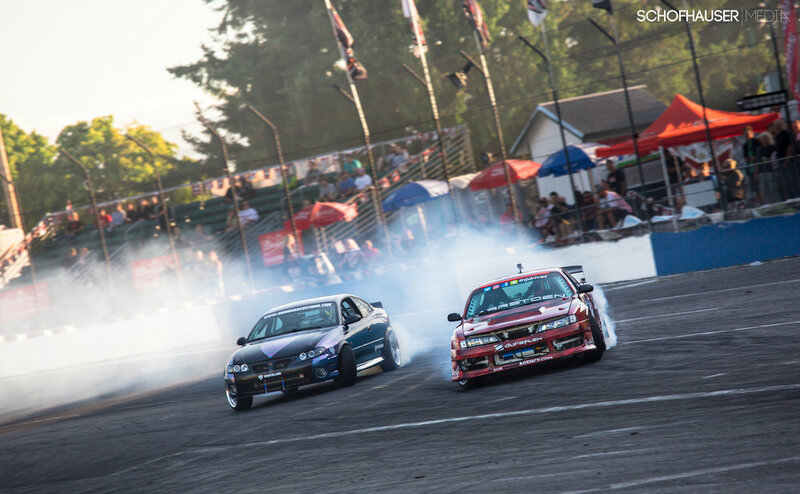 It is the last major event in the 2016 series for the Evergreen Drift and Pro Am Series, so they like to go out with a rager. 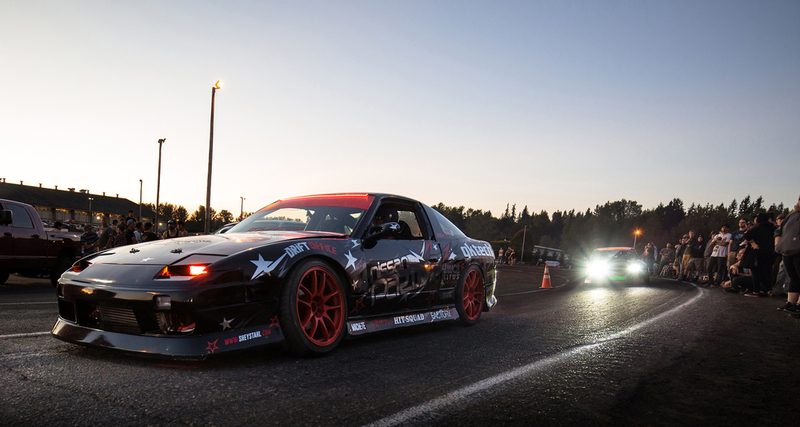 AfterDark is full to the brim with a large car show, DJs dropping beats, open drift car pits, Pro Am Round 5 competition and drift games. 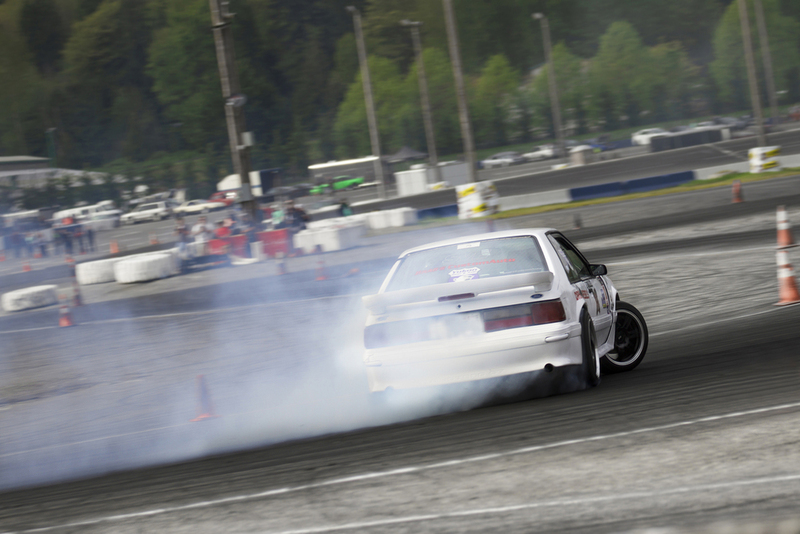 AfterDark kicked off with the Pro Am Round 5 competition. 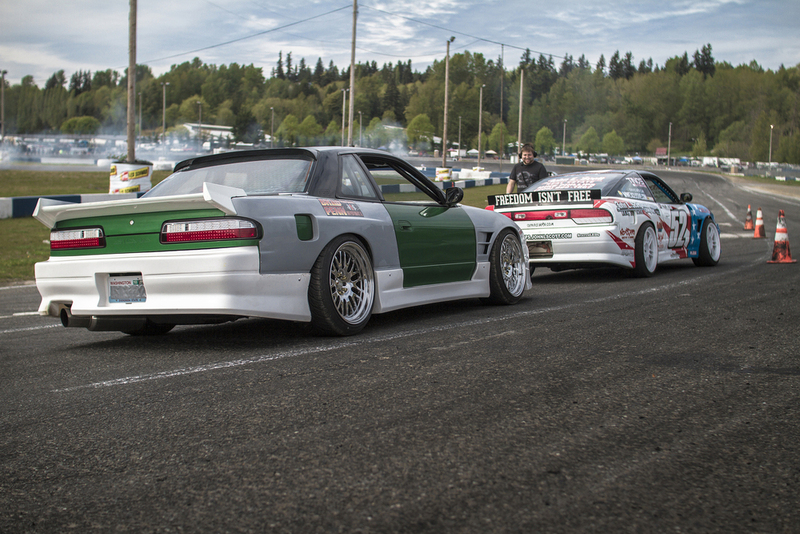 This is the final round for the Evergreen Pro Am series this year. 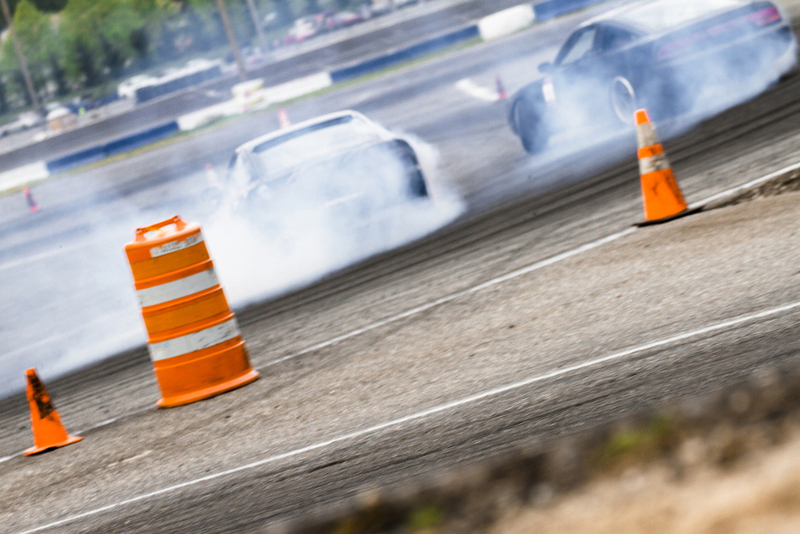 So all the drivers brought their A-game. Or at least tried to. The competition ran what they call the "Mini Jersey" course set up, which featured a touch and go infront of the media box that led right into a tightening right hander. This was paticularly challenging for many of the drivers because they had so much speed coming into it from the 3/8ths bank. 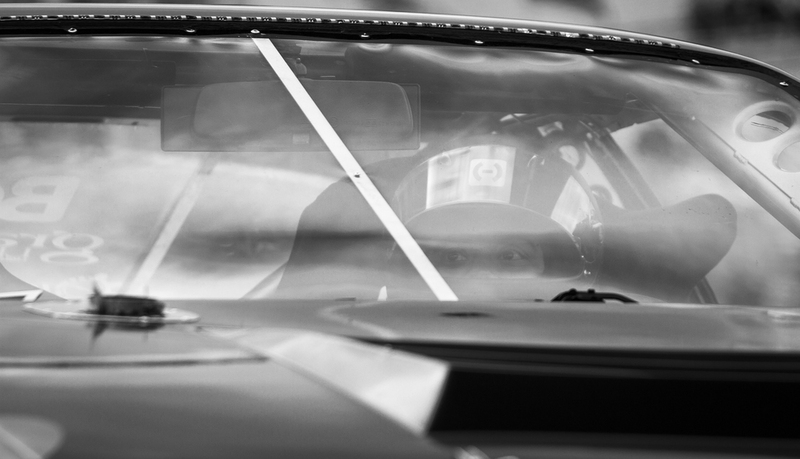 Many drivers received at least one zero'd run during qualifying. 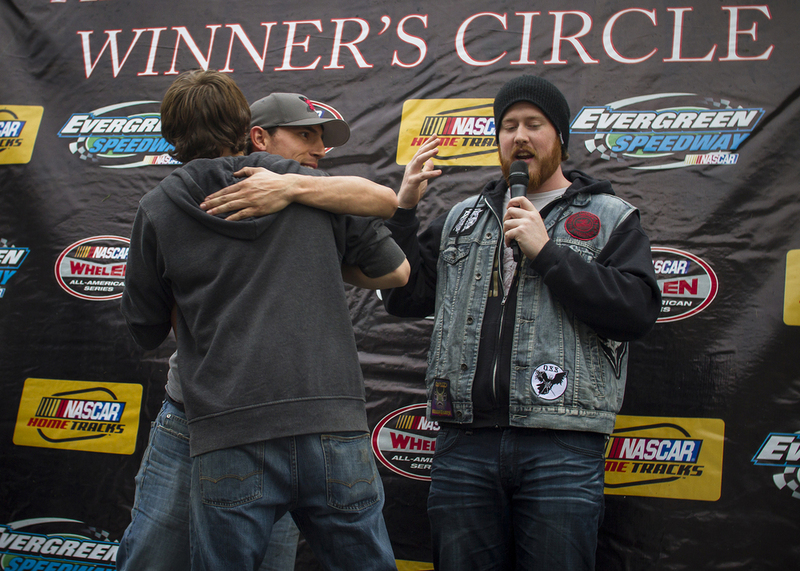 Matt Vankirk and Brandon Schmidt were your top qualifiers. 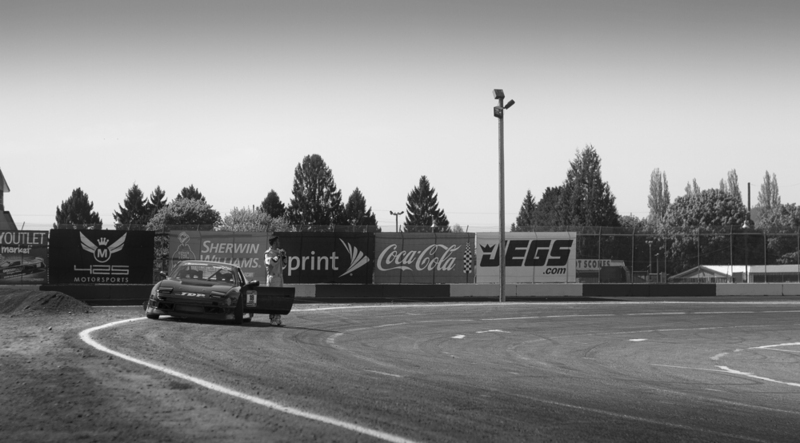 Race cars can be fickle things, especially when you ask them take the abuse of sliding very sideways very fast alongside another car doing the same thing. 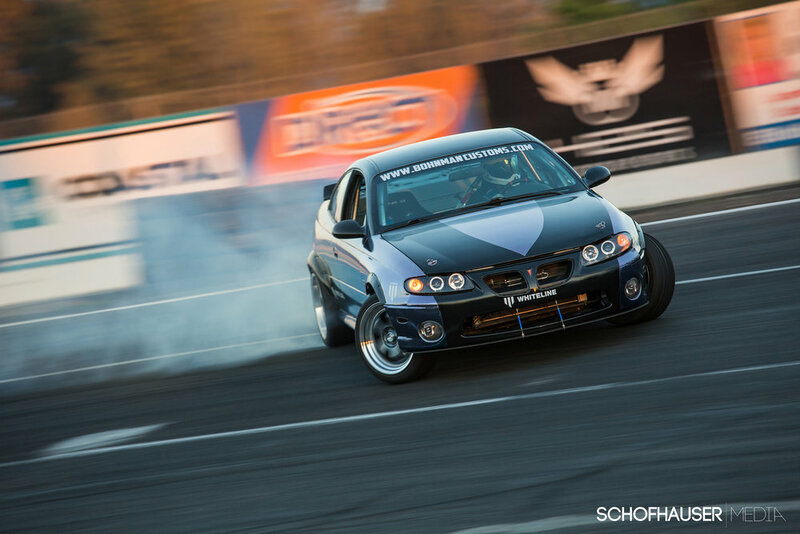 Leading into main competition both Vankirk and Travis Reeder were suffering mechanical issues. 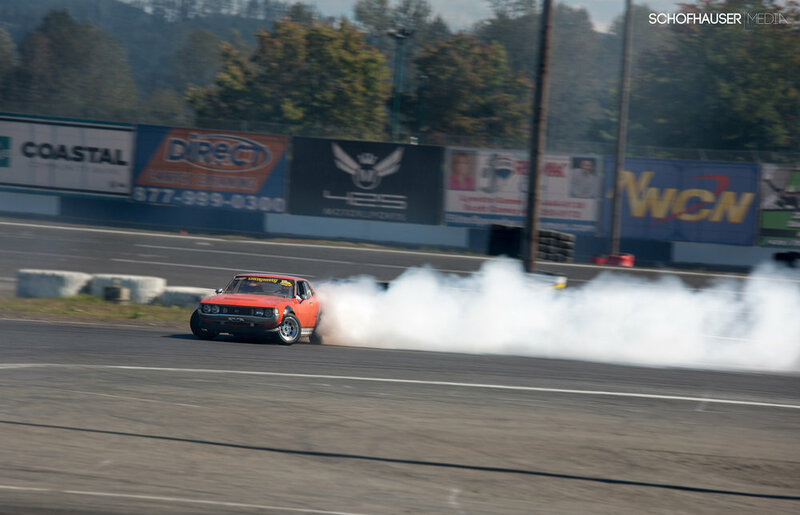 Vankirk's clutch was destroying itself and Reeder didn't have any power steering. 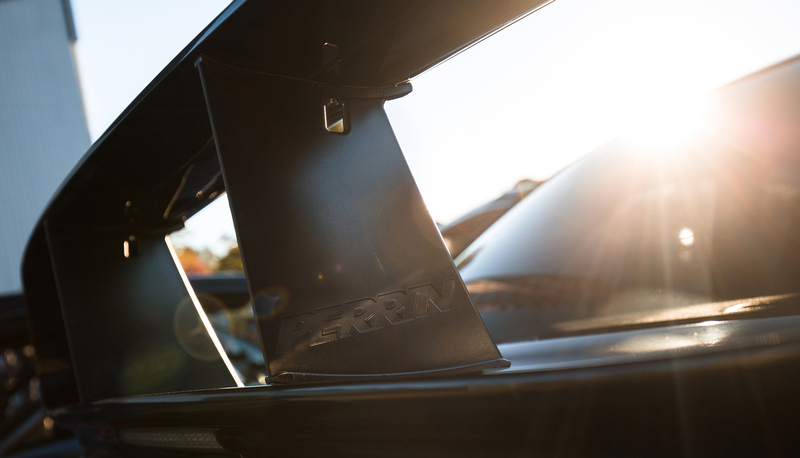 So Reeder was having to strong arm that wisefab kit into ridiculous angles all day; and quite well to his credit. Unfortunately both of them were knocked out; TJ Fry besting Reeder and Arie Abrams beating Vankirk. 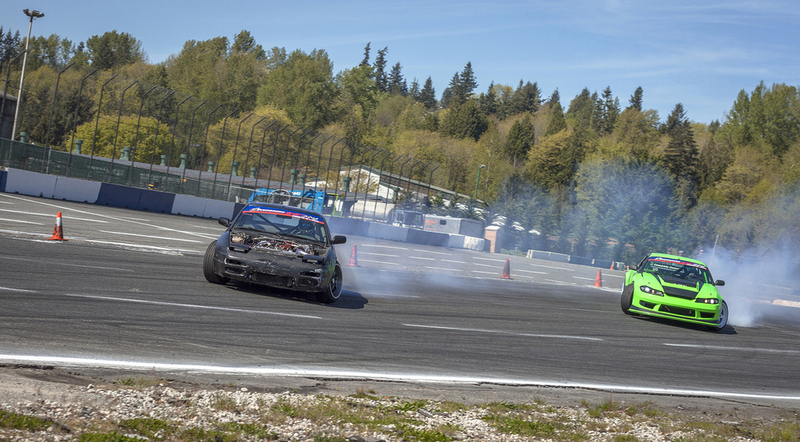 This final round was getting very interesting now that the top two drivers in the series were out of the running. That left third place Brandon Schmidt with a seemingly open path to victory. However, bad things come in threes. 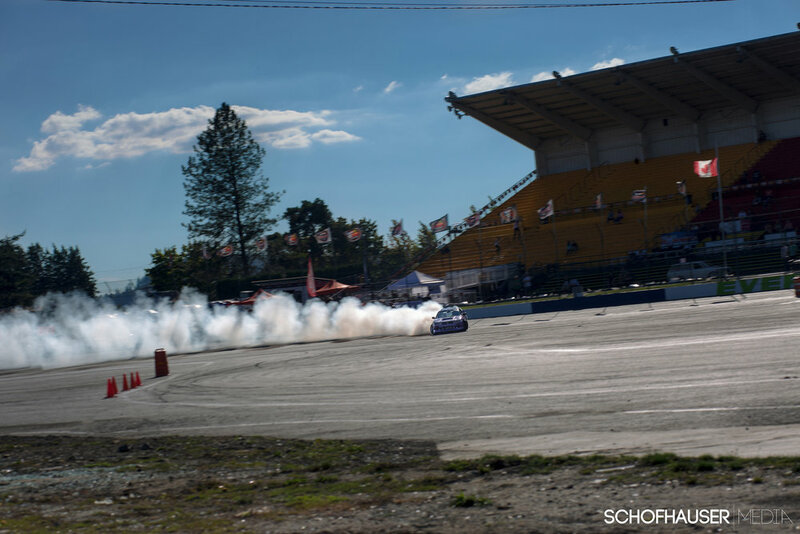 During his battle against Nate Snyder, one of Schmidt's rear axles self destructed knocking him out of the competition. 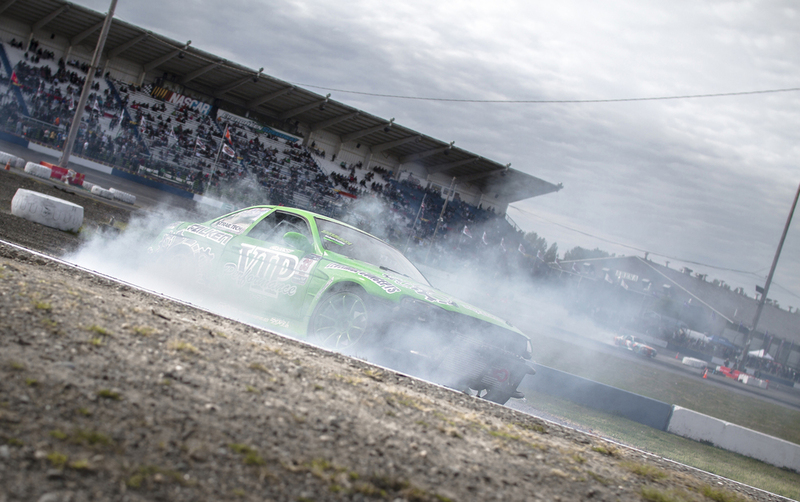 Schmidt was hoping to secure the win so help solidify his bid for a Formula Drift Pro 2 license. This left the door open for TJ Fry, who had been 4th all event, to push for the win. 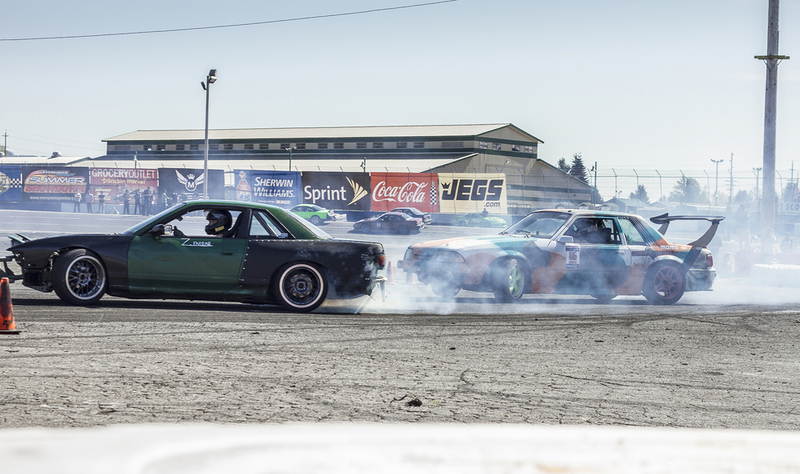 With the top three out, the battles were now heated and spectacular. 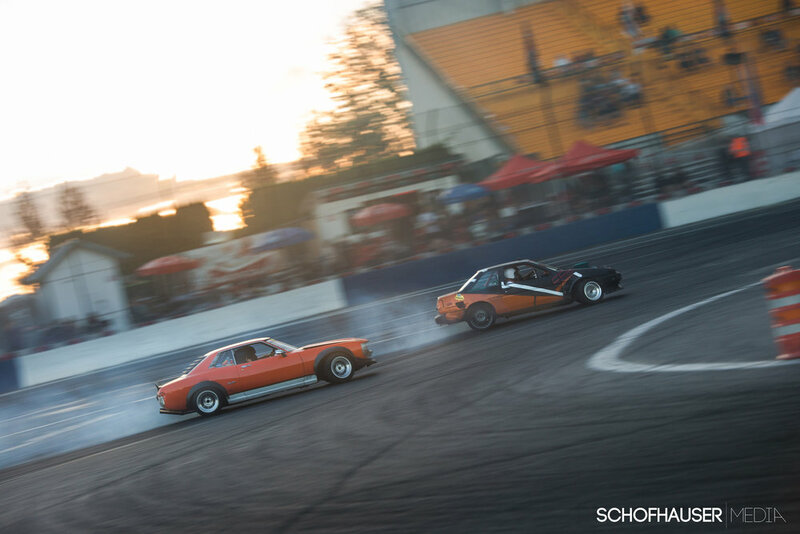 Zach Farrar and TJ Fry pushed each other hard under the setting golden sun, putting on a great display of car control. 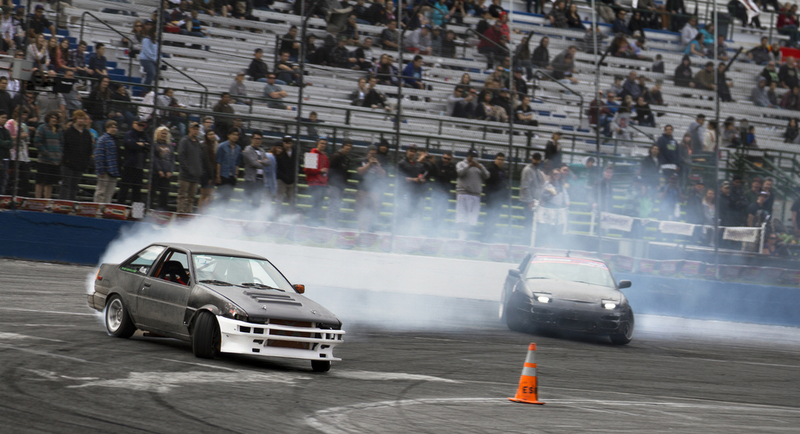 Nate Snyder and Dio Ortiz II also had a great battle to show off their drifting prowess. 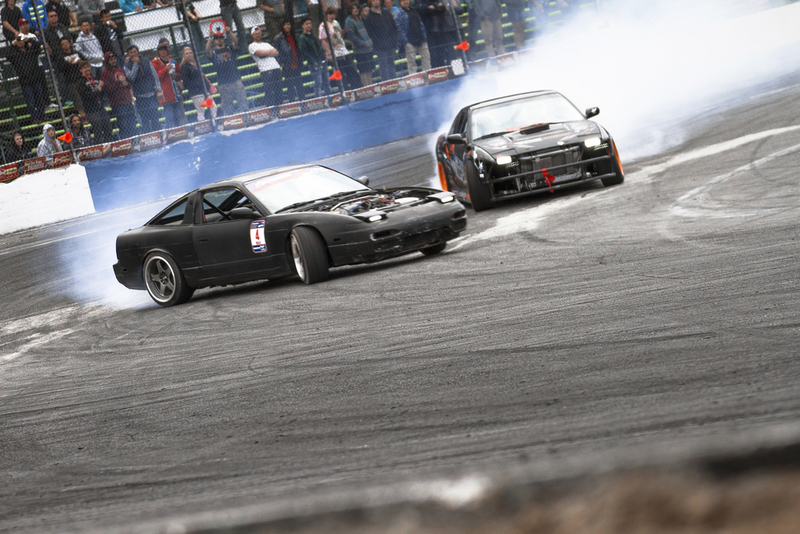 It was great to see some fresh faces battling it out for the podiums this round. 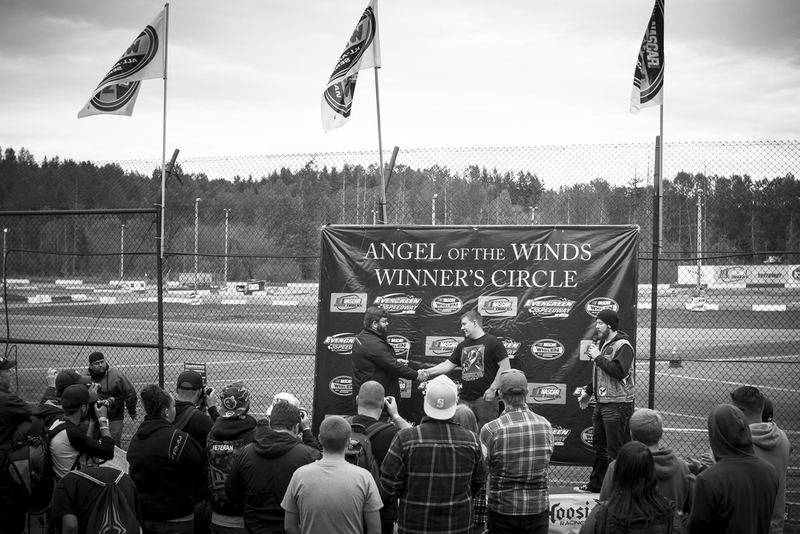 Despite not winning, both Travis Reeder and Brandon Schmidt had secured enough points over the season to earn their Pro 2 licenses. I'm stoked to see them toss it about with the big dogs next year. In the end, it was new comer and Montana grown TJ Fry coming away with the win! After struggling with car issues all season, this win was a great way to cap off the season. Nate Snyder earned second place and Dio Ortiz II came away with third place. Congratulations to them all! 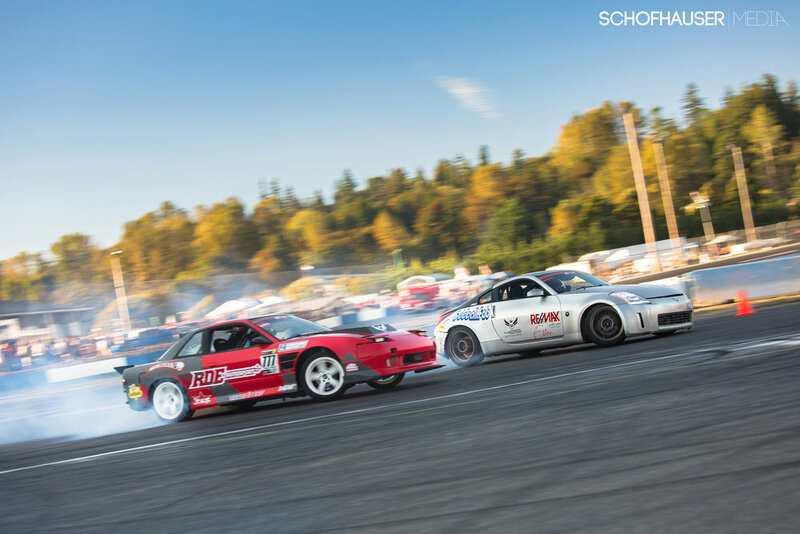 After the Pro Am competition, the Drift Games began. 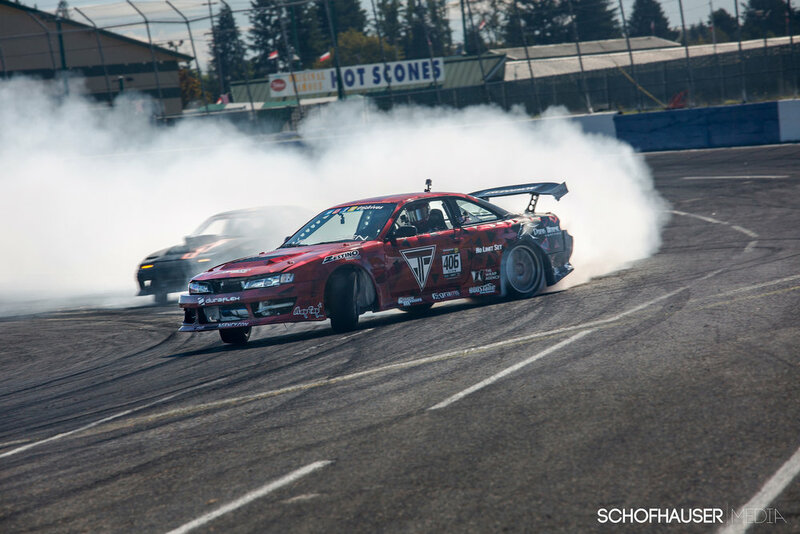 These featured some fun light hearted competition with games like Drift Limbo, where they had to slide through a progressive smaller and smaller gap, and Hoonigan Team Hoon off which featured team choreographed tire destruction. 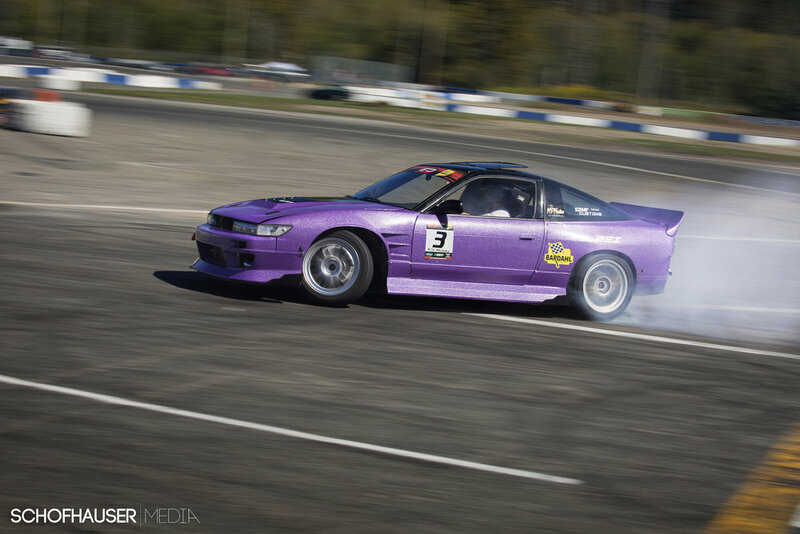 Conveniently, the best spot to watch the Drift Limbo was in the beer garden. You could see how narrow the gap was and you could have a beer in hand. 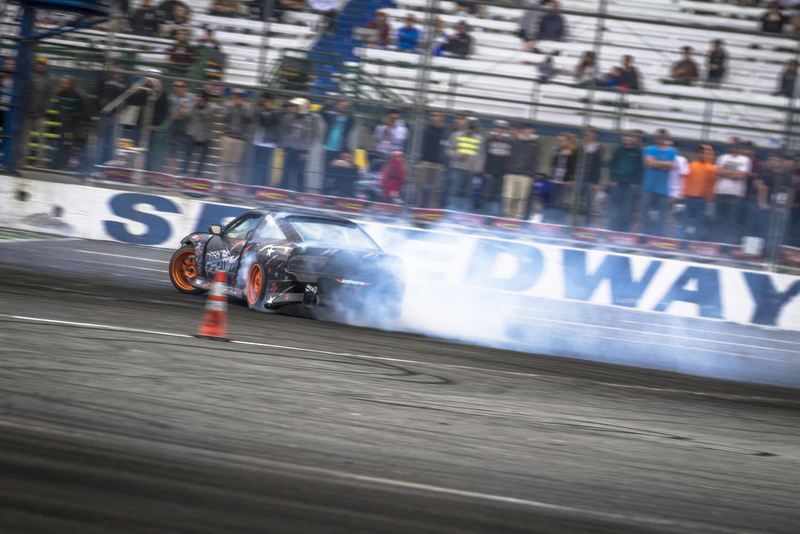 TJ Fry and Brad Davis won the hoon off competition with some great choreography and some colored tire smoke. 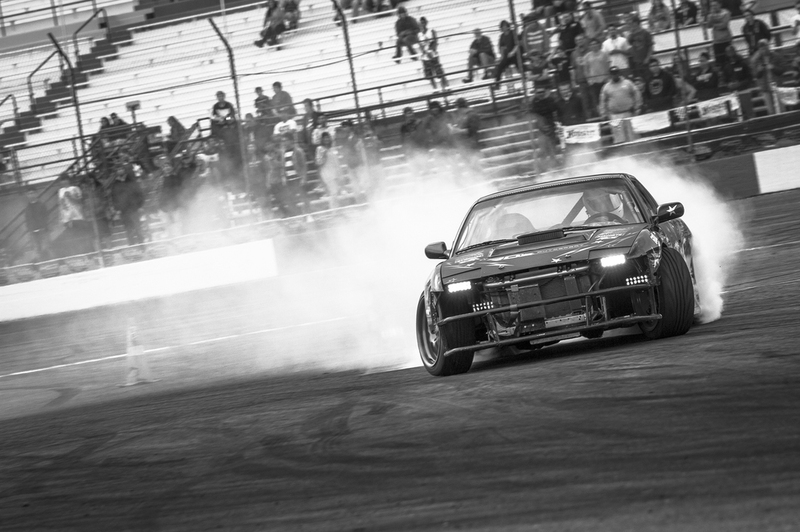 All in all, DriftCon AfterDark was one giant party to end the main drift season at Evergreen Speedway. 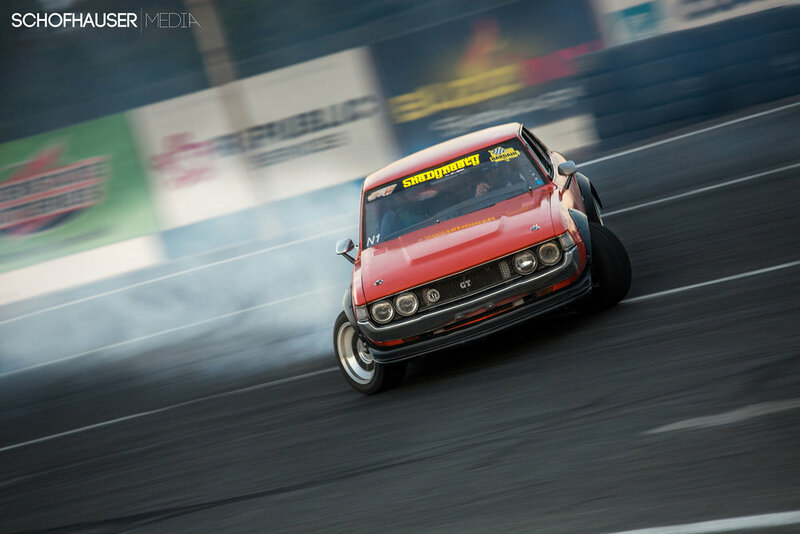 I look forward to the shenanigans of the off season winter drifting and to see what changes the drivers make as they prepare for next year's competitions. 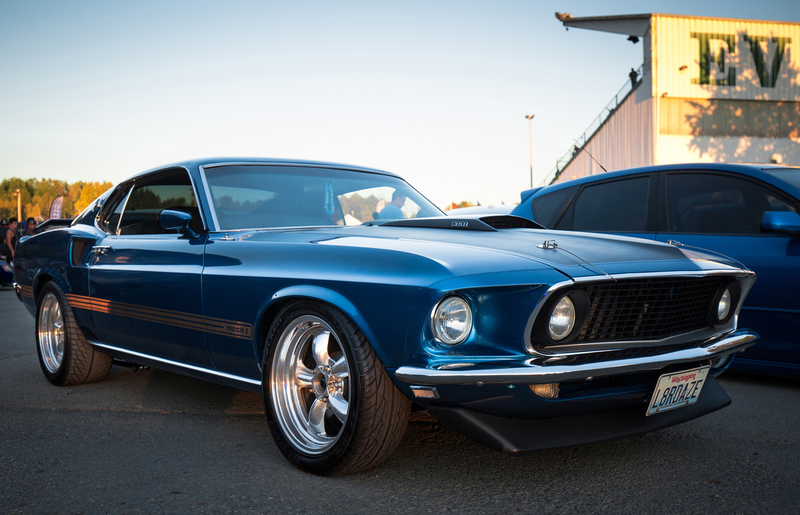 When the sun goes down, the beasts come out to play. 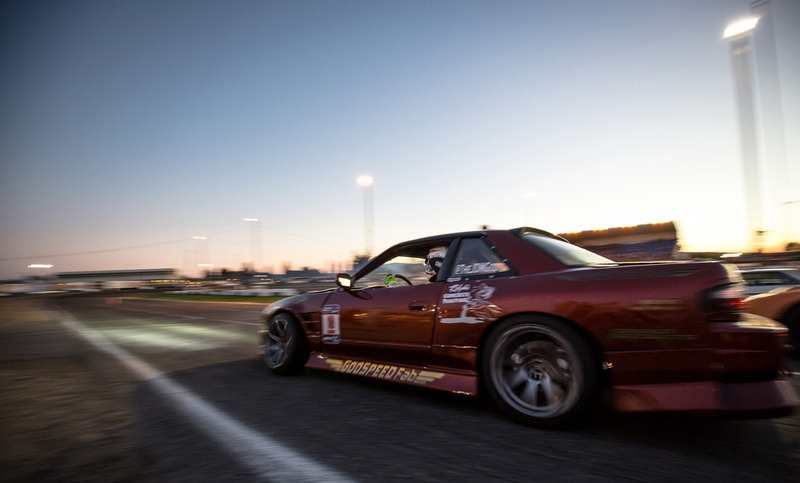 DriftCon AfterDark is a special event. 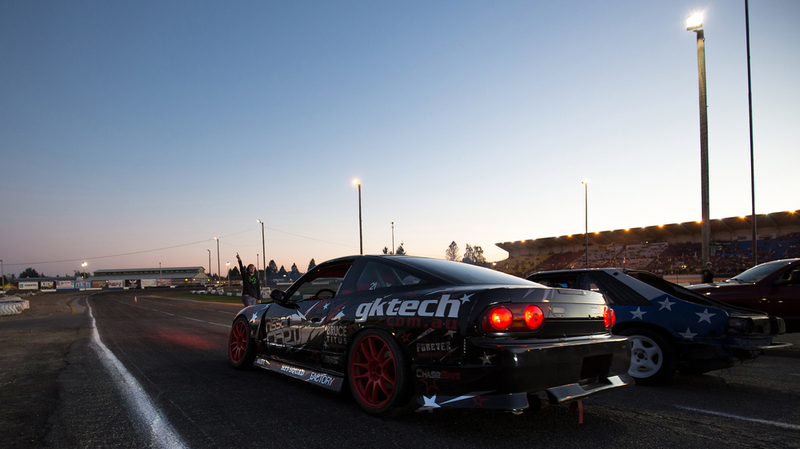 A night time a car show and drift event that feels more like a festival from DiRT 3 than your typical car event. 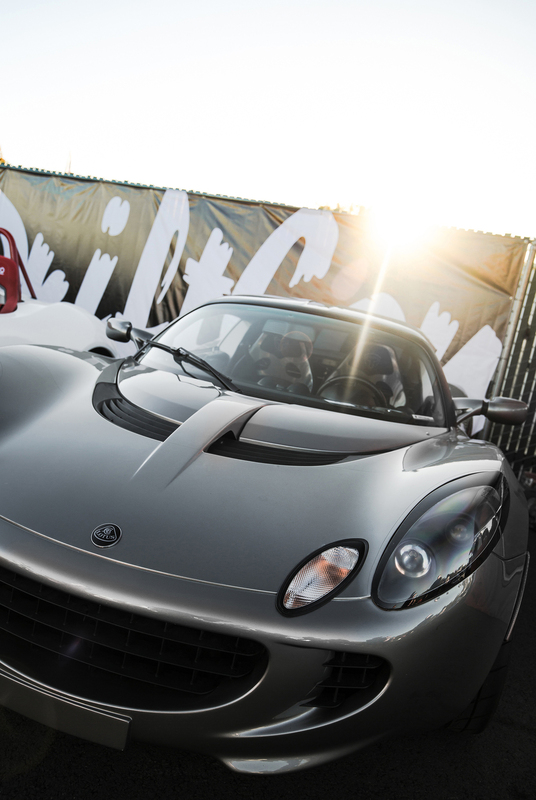 The 'festival' started in the wanning hours the day, with a diversity of beautiful cars big enough to satisfy every type of fanboy rolling in under the warm golden sunlight. 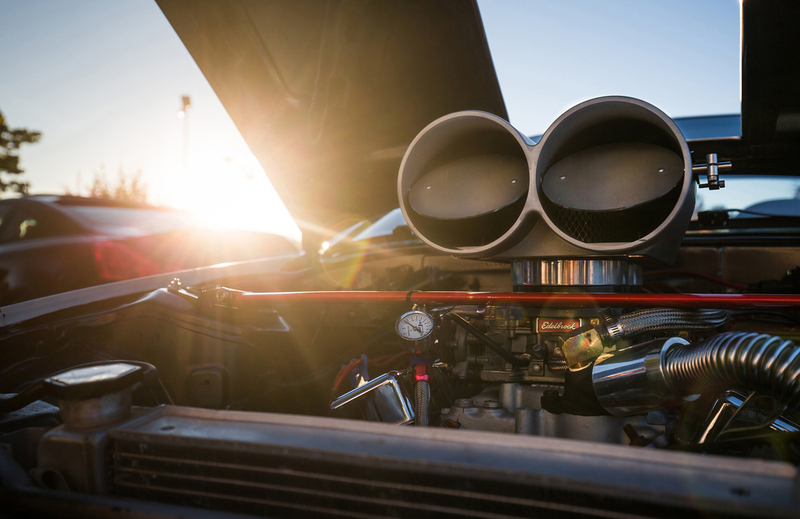 Every car show should start just before sundown. 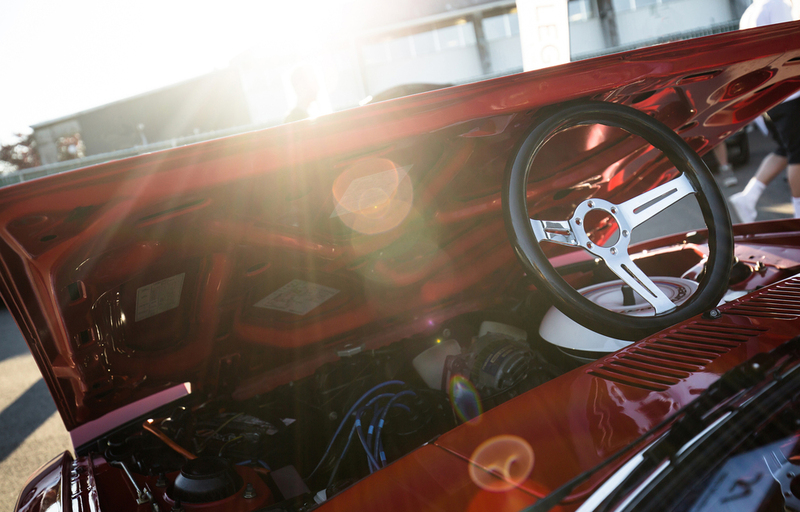 That golden sunlight and stunning automotive works of art made for a photographer's and carguy's paradise. There were vendors of all kinds selling many things I wish I could afford. There was music filling the atomsphere from cars parked in the show, vendor boths, and from the main stage with some beautiful dancers interprating the electronic rhythm and beats. 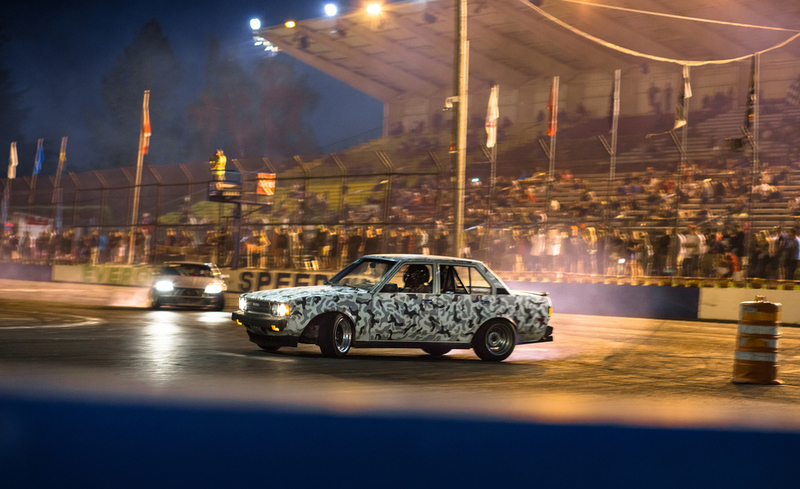 As the night drew closer, the music was accompanied by the whistles of turbochargers and booming V8s from the track as the drift competion got under way. 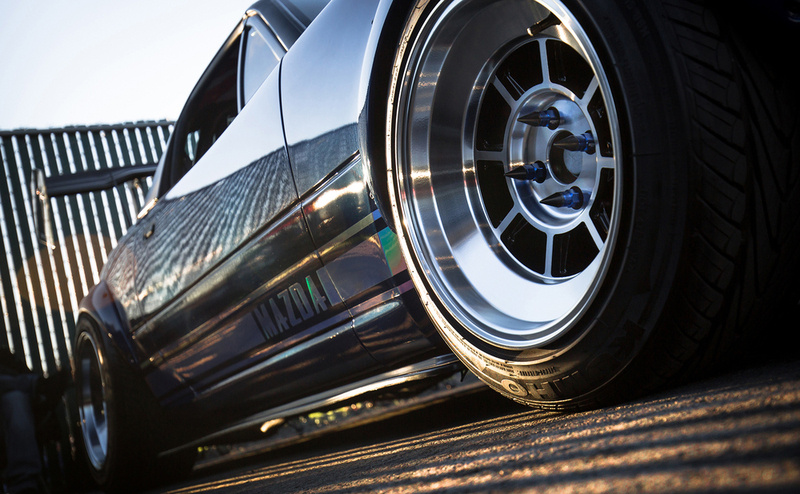 It all made for a pleasing cacophony of sounds baraging your ear drums. Night fell. The stadium lights flickered and fizzed on. And now the party's main event began. 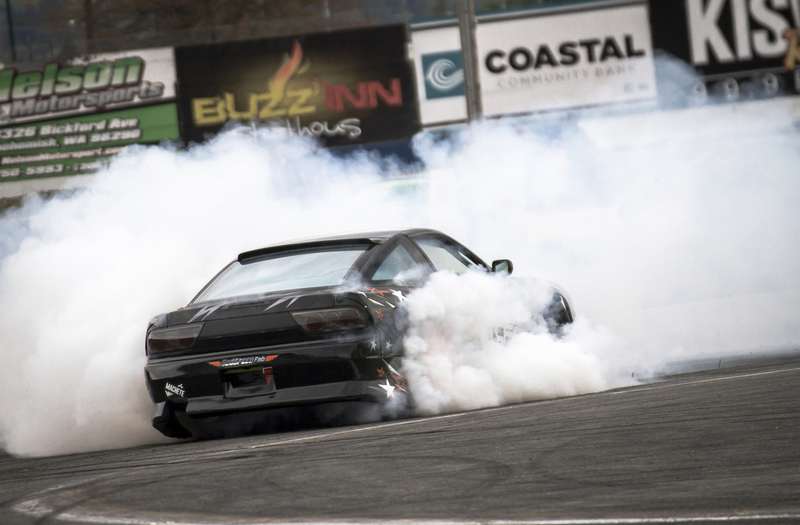 Drift events during the day are impressive enough by themselves; but a drift event at night, that is like seeing a color image of the Orion Nebula for the first time. 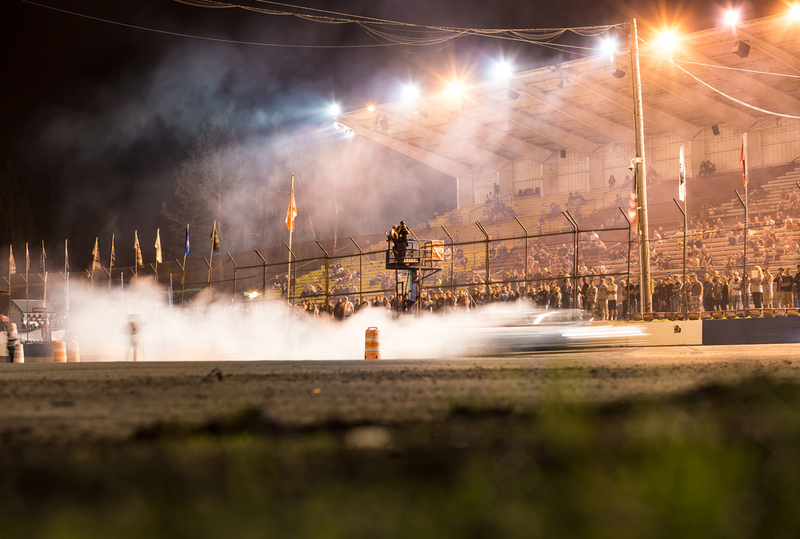 The track is alive with neon colors, flashes, flames, and clouds of colorful smoke. 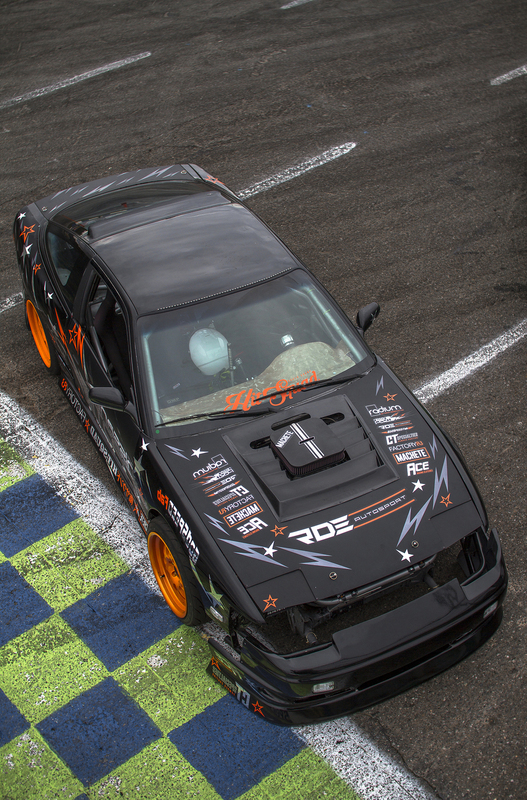 Many of the drift cars sported colorful neon glowing accents that looked as those the world of Tron was the event. Combine that with the occasional bright flashes from flaming backfires and you were treated with a very colorful and adrenaline pumping spectacle. 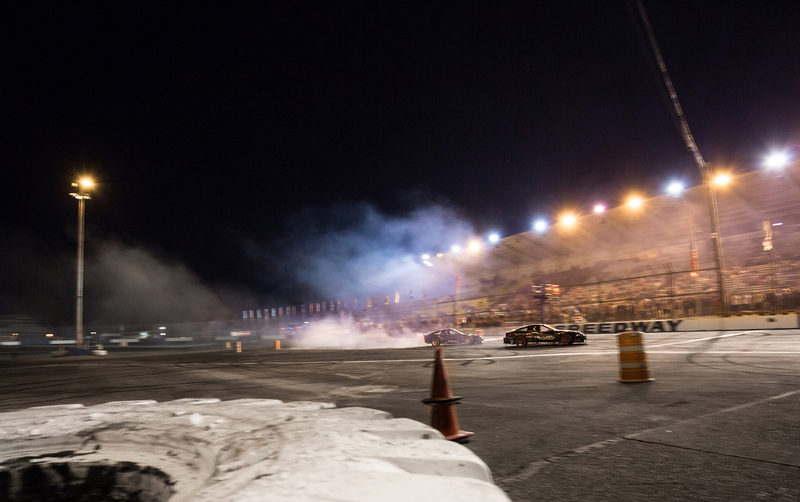 The tire smoke takes on much more of a presence as the stadiums shine through it giving it weight and character. 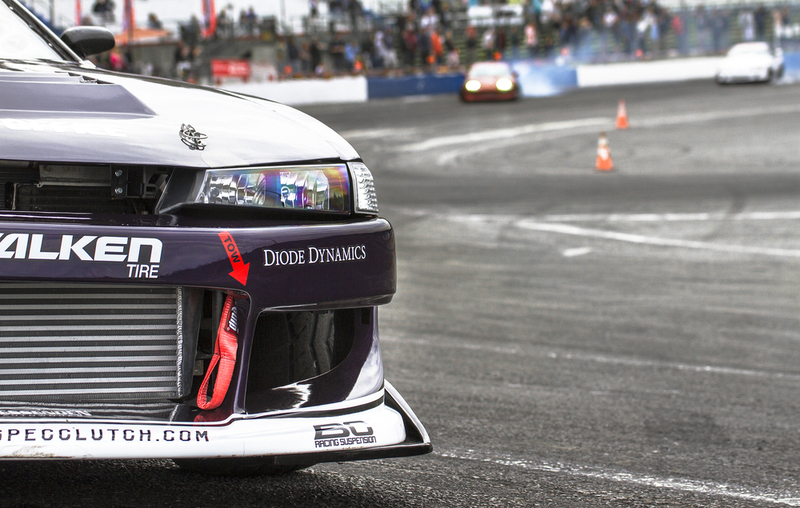 The drivers were on their game during the competition, putting on a spectacular show for the fans. 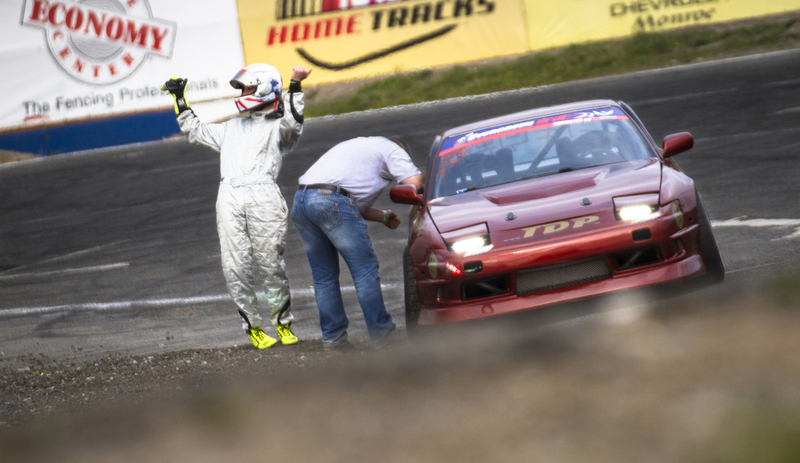 Once the winners had been awarded, the drivers went out for more drifting games: Biggest Reverse Entry, Parallel Parking, and Tandems. 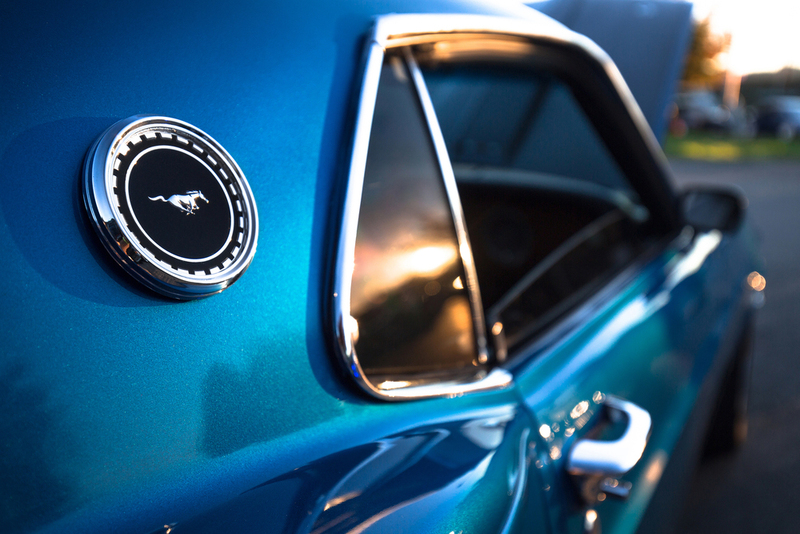 The fun and games carried the festival and now fluorescent-lit car show late into the night. 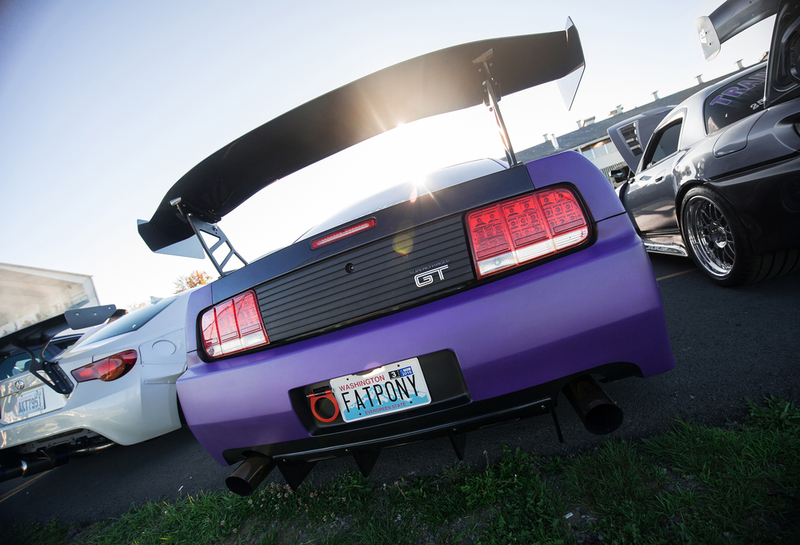 A big thank you to ImportMeet.com for hosting this spectacular event. I cannot wait for next years. 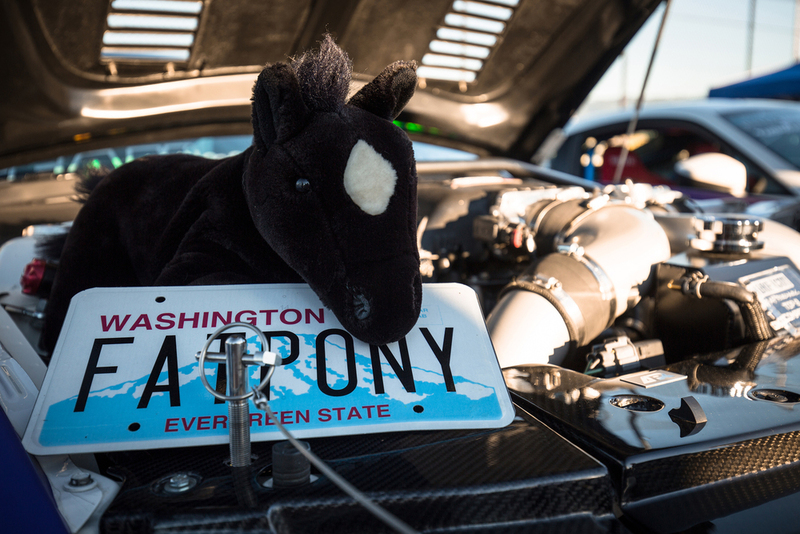 April 26th saw hundreds of Nissan die-hards and car enthusiasts alike come from all over the Pacific Northwest to Evergreen Speedway in Monroe, Washington for this year's NissanFest. 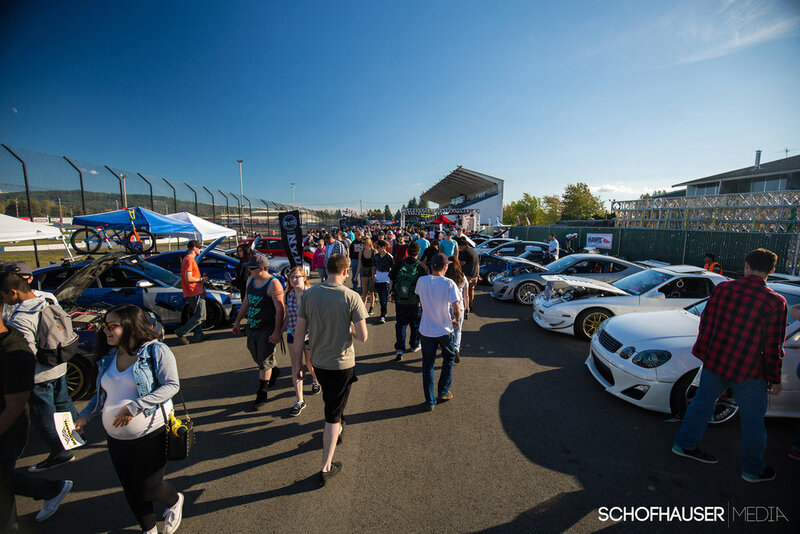 Put on by NWMOTIV.com, NissanFest is a spectacle of car culture. 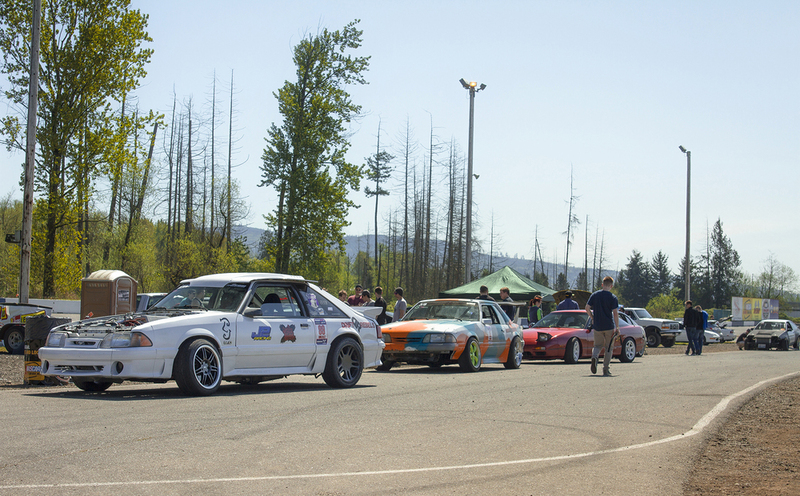 Within the playground of Evergreen's gates, spectators and enthusiasts found a car show full of beautiful customized Nissans and Datsuns, an Autocross Time Attack, and a thundering drift competition. 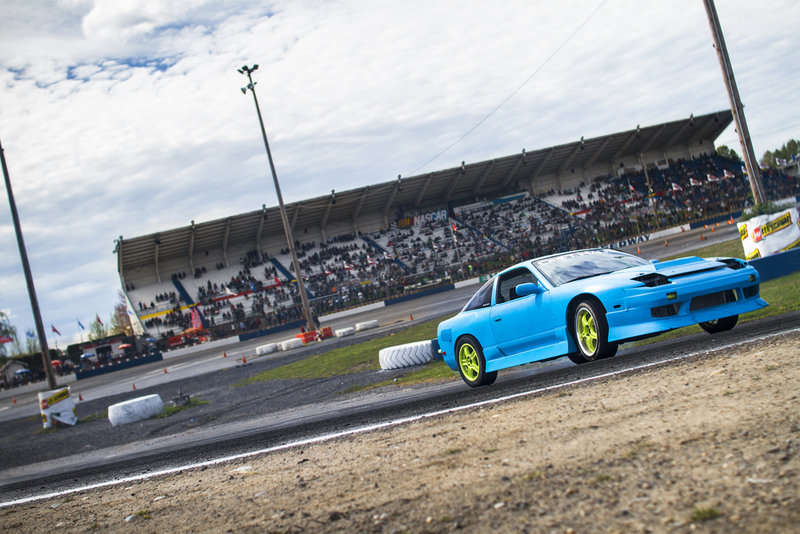 The drift competition provided the grand finale for the event as the grandstands were filled with clouds of tire smoke, the smell of burnt rubber you could lather on like after shave, and the roar of booming V8s and screaming turbos. 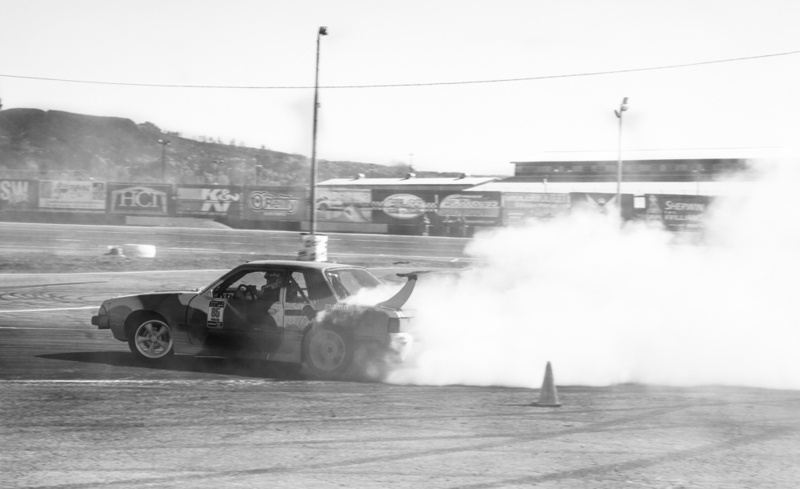 Mechanical troubles plagued several of the drivers during the event, with one even having to push start his car each time it was his turn to battle. 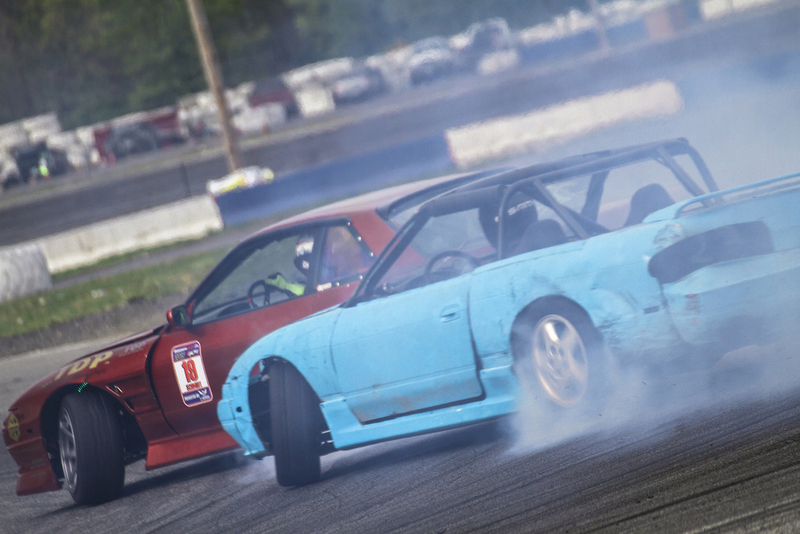 Despite the gremlins, the competition saw spectacular, hard fought battles and a few untimely collisions leaving doors crunched in or bumpers dangling by zip ties. 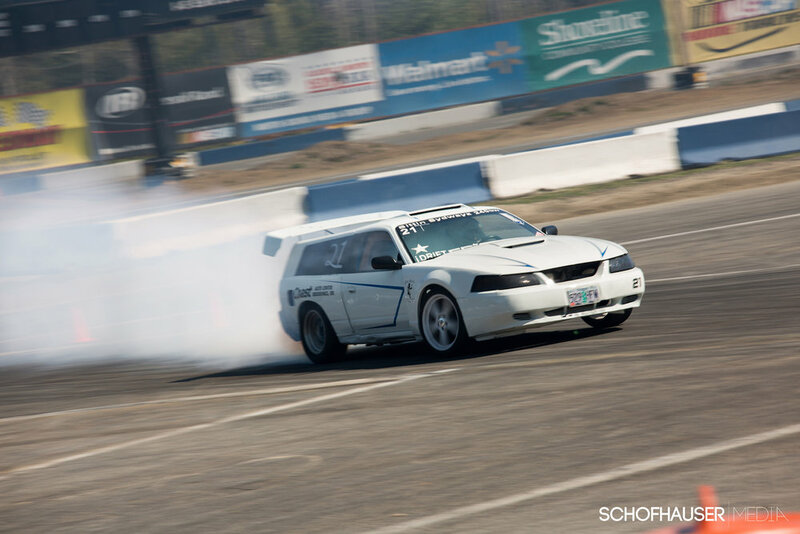 When the smoked had cleared, 1st, 2nd and 3rd place went to Erich Hagen, Cameron Moore, and Matt Vankirk respectively. 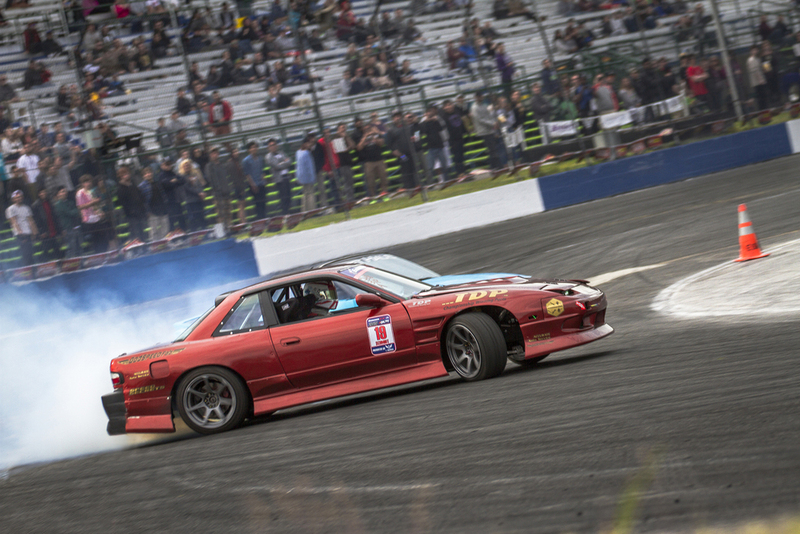 Congratulations to them and all the participants of NissanFest, who helped make this an amazing experience. 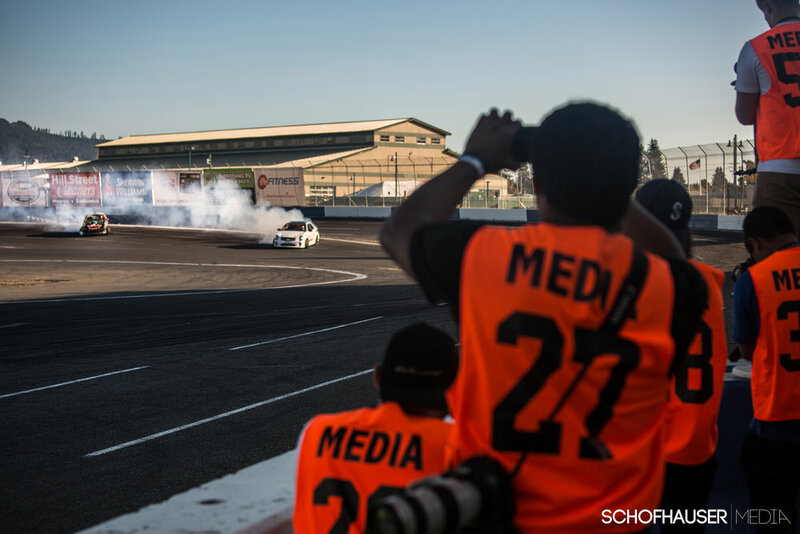 Be sure to check back soon for video coverage and click through the drift competition gallery below. 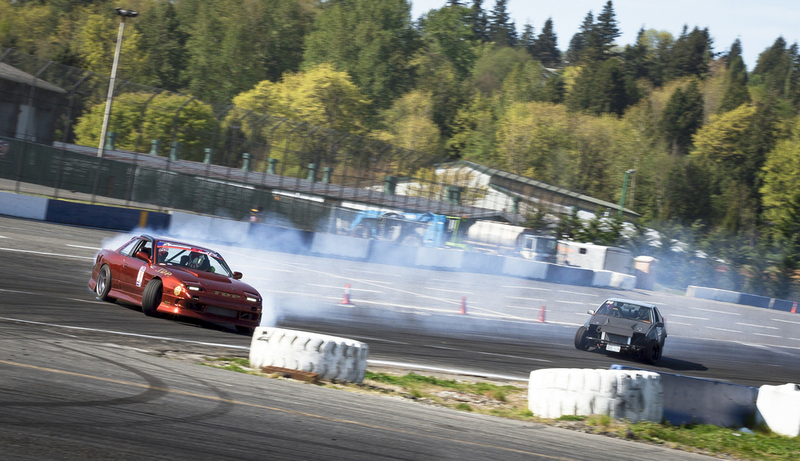 It's spring time in the Northwest and the sweet smell of burnt rubber and tire slaying smoke is in the air. 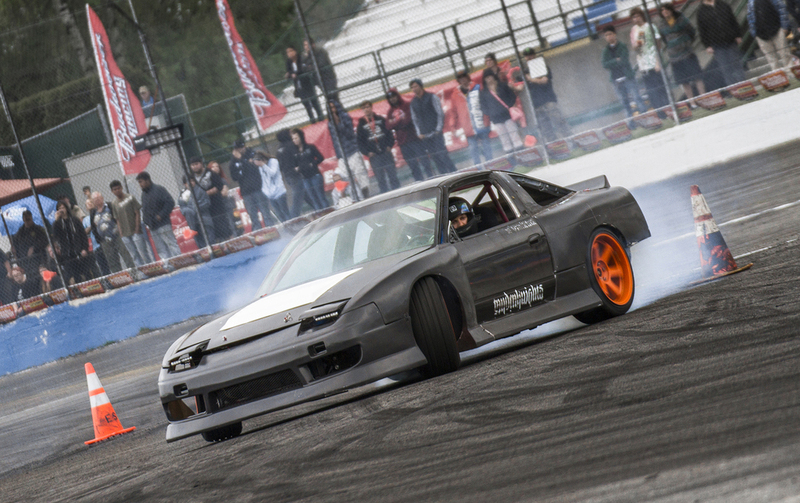 April 19th marked Round 1 of the Pro Am Drift series, which saw as drivers compete for points towards a coveted license into the Formula Drift Pro 2 series. 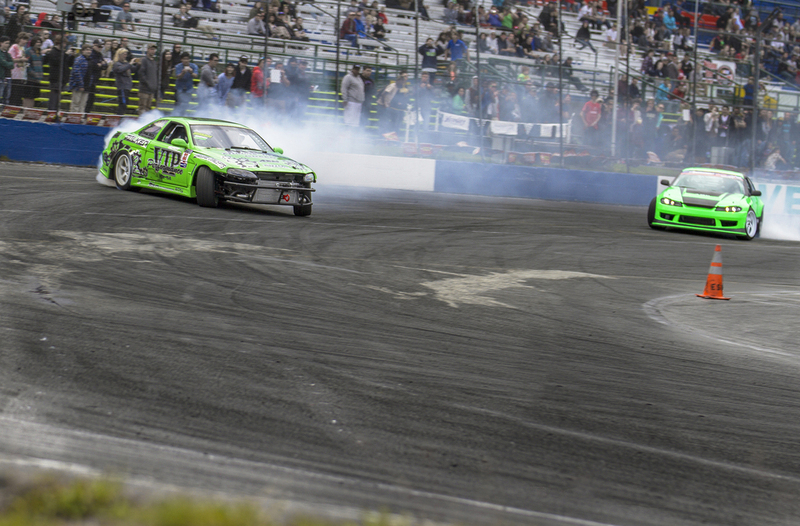 The final battle came down to grassroots driver, Tyler Campbell, and Pro Am driver, Brandon Schmidt. 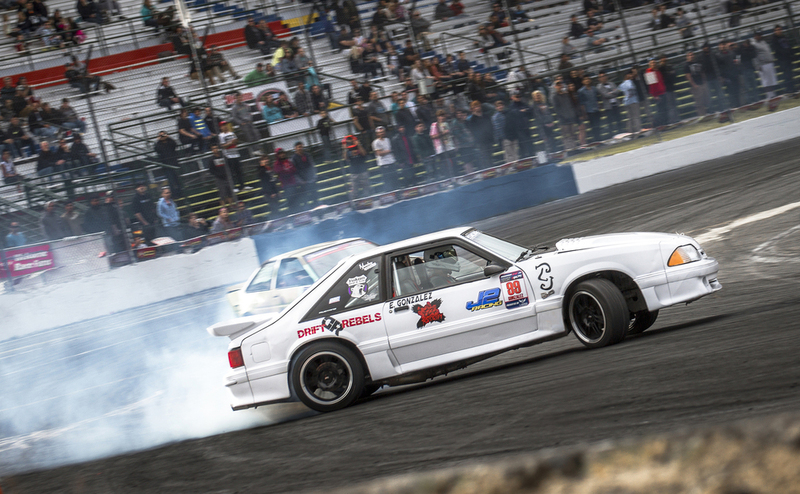 Tyler had been the favorite all day having placed 1st in qualifying with his V8 powered Toyota Corolla AE86. 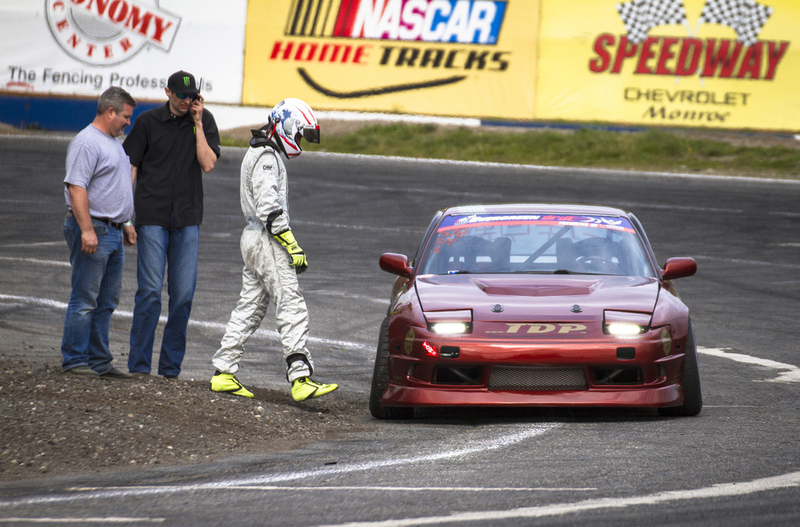 Brandon's minor bobble in his V8 powered Nissan 240sx during qualifying landed him in 7th for the start of the competition. Undeterred, Brandon fought hard climbing the ranks back up to the final battle for 1st. In the end, Tyler came out on top after laying down an impressive leading run. 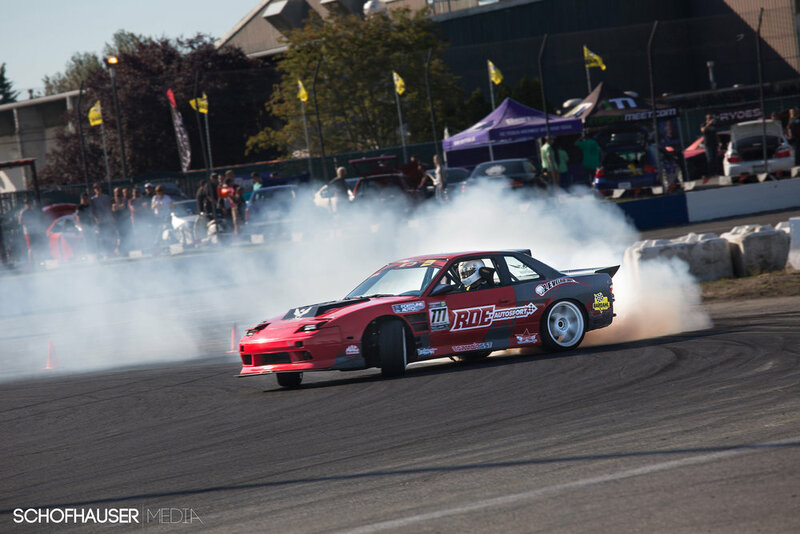 With his 2nd place podium at his first Pro Am Drift event, Brandon now sits as points leader in the chase for the Formula Drift Pro 2 license. I caught up with Brandon after the event. He had this to say about how Round 1 unfolded. 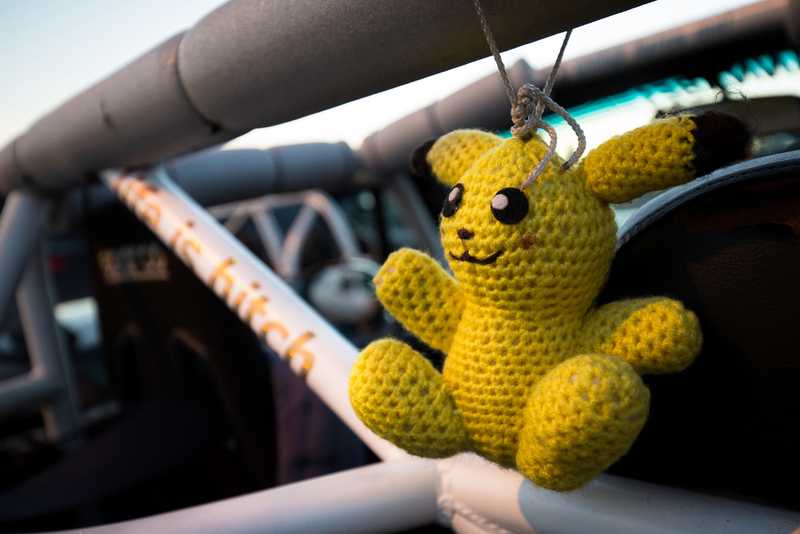 There was amazing talent on display for this sunny first round of the Pro Am season. Best of luck to Tyler, Brandon and all the drivers! 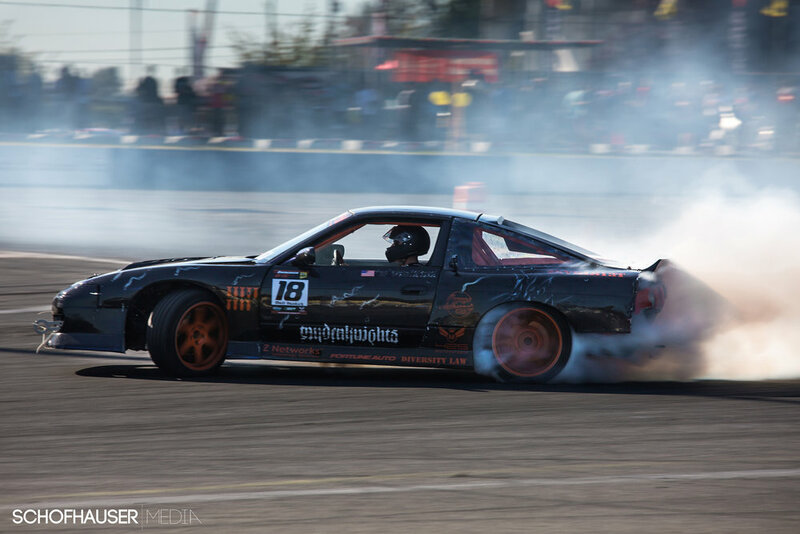 Click through the gallery below for photos of all the action. Video coverage will be up shortly.